The Citadel. . Wallpaper and background images in the Half Life club tagged: photo citadel half-life 2 city 17. 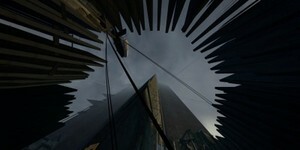 This Half Life photo contains tepee, tipi, and teepee.